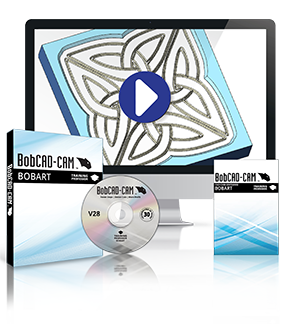 Start learning how to design and machine art with the new BobART artistic CAD-CAM add-on. Our training videos allow you to master engraving, embossing, debossing, and more in an intuitive, progressive way that allows you and your shop to transform your most creative concepts into manufacturing realities. This video set and digital workbook breaks down artistic programming by individual features so you can learn at your own pace and re-watch topics at any time.